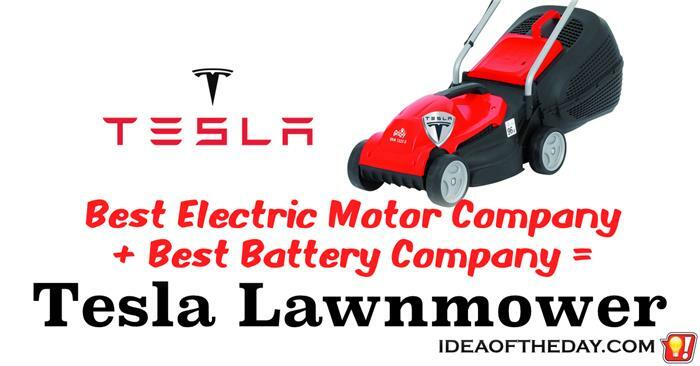 If Tesla Makes the best batteries in the word, and the best electric motors in the world, why not build the best lawnmower in the world? Electric cars have been around for decades, so when Elon Musk founded Tesla Motors, his goal wasn't to simply build an electric car. If that was all he wanted, he would've done what everyone else did, put an electric motor and a battery inside an existing car frame and viola... an electric car.